Sports gambling is coming to the city where a historic ruling earlier this year made it legal nationwide. The Washington, D.C. City Council approved legalized sports betting by a vote of 11-2 on Tuesday, according to Washington ABC affiliate WJLA. The passage leaves residents of the nation's capital just one step away from studying point spreads and over/unders. Mayor Muriel Bowser was involved in drafting the bill and is expected to sign it soon. Officially titled the Sports Wagering Lottery Amendment Act of 2018, the bill was introduced by Councilman Jack Evans. Customers will likely be able to put their money down in mid-2019. In this Nov. 20, 2018 photo, a gambler makes a sports bet at Resorts Casino in Atlantic City, N.J. According to the bill, submitted on Dec. 4, the city will receive 20 percent of "gross sports wagering revenue" from online outfits and 10 percent of revenue from facilities, such as stadiums or horse racing venues. It will also collect money on license fees. Gambling is expected to be allowed at city sports arenas like Capital One Arena and Nationals Park, however, RFK Stadium, where D.C. United played until last year, is on federal land and gambling will not be allowed. Using July 1, 2019, as a start date, the city estimates it will take in a total of $6.5 million in 2019, $8.5 million in 2020, $9.7 million in 2021 and $9.5 million in 2022. The money will go toward various programs in the city, including gambling addiction, the Birth to 3 program and violence prevention. Each is earmarked a certain percentage of the profits. The Office of Lottery and Charitable Games will run operations for sports gambling. 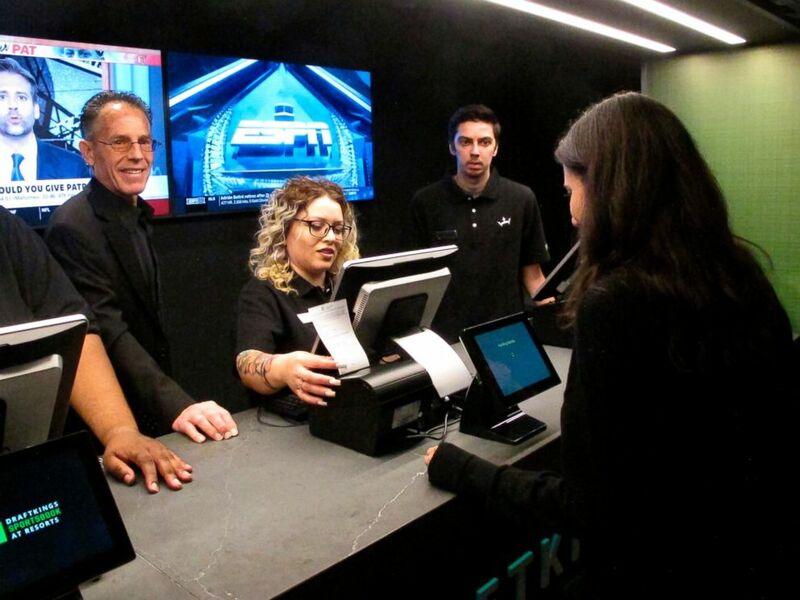 This Oct. 25, 2018 photo shows employees at the new sports book at the Tropicana casino in Atlantic City N.J., preparing to take bets moments before it opened. Introduction of the bill was made possible by a Supreme Court ruling in May. In a case brought by the state of New Jersey, the justices ruled that a federal law banning states from legalizing sports gambling, called the Professional and Amateur Sports Protection Act (PASPA), was partially unconstitutional because the federal government cannot tell states what laws they can enact. Congress can regulate sports gambling, but "if it elects not to do so, each state is free to act on its own," according to the court's opinion. Congress is not expected to intervene in Washington, D.C.'s passage of the bill. 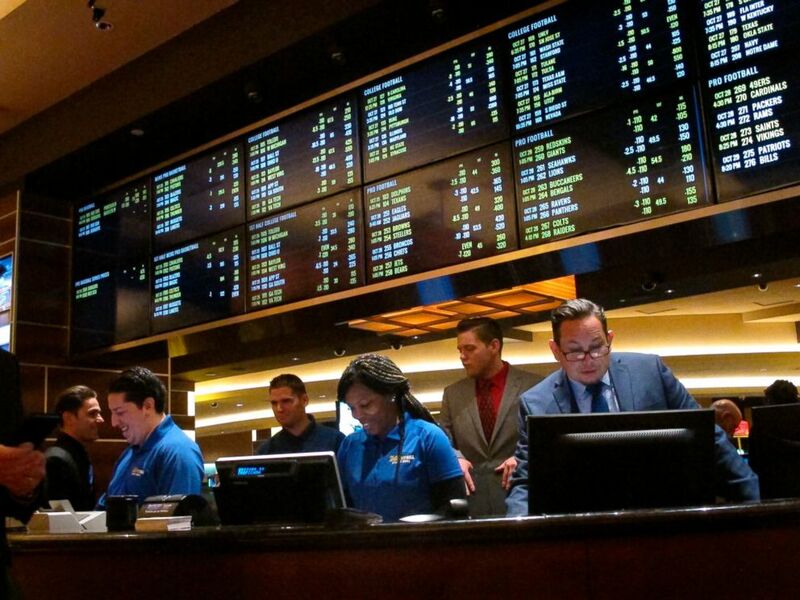 The district joins eight states where sports betting is legal. Sports betting has long been legal in Nevada, including Las Vegas, but seven other states have joined since the Supreme Court ruling: Delaware, New Jersey, Mississippi, West Virginia, New Mexico, Pennsylvania and Rhode Island.